Emma Watson Updates: 'Beauty and the Beast', starring Emma Watson, at D23 Expo? 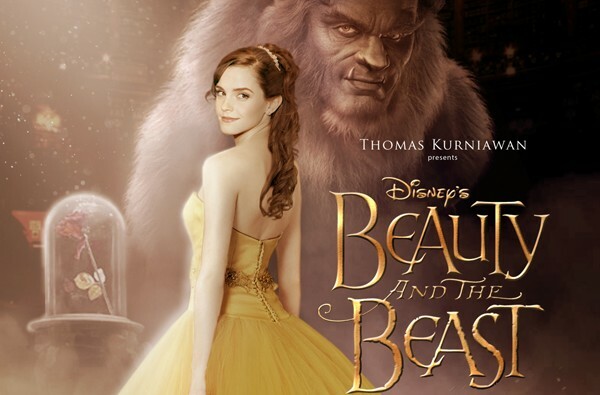 'Beauty and the Beast', starring Emma Watson, at D23 Expo? For 3 days, from August 14 to 16, Disney are having their bi-annual D23 Expo, held at the Anaheim Convention Center, in California. D23 EXPO presents three full days of “inside-the-magic” experiences you won’t find anywhere else, including exclusive sneak peeks at upcoming films from The Walt Disney Studios, dazzling celebrity appearances, unforgettable presentations given by Disney luminaries, a look at what’s coming from Disney Parks and Resorts and Walt Disney Imagineering, the Disney Legends ceremony, and the Treasures of the Walt Disney Archives exhibition, which spotlights crown jewels from Disney’s timeless legacy. I think the ones that could concern 'Beauty and the Beast' are the ones from Friday afternoon and Saturday morning. First footage of Emma in "Beauty and the Beast" was shown. See the description HERE. Angelina Jolie went to the expo in 2013 to present Maleficient which was to be released a year later. 'Beauty and the Beast' being released before the next expo in 2017, could we hope for Emma to be there?